Editor's Note: This Giveaway has now ended. Thanks to all those Flattering50 readers who entered! In recent years, I've become a huge fan of polishing my nails. It's one of those things I find I have more time for now that I'm an empty nester. For a very small investment, I can change my nail polish with my mood; it's a great pick-me-up. Lately, I've been experimenting with colors I never imagined I'd like: green, powder blue, lavender, navy. So...when the folks representing the nail artist Ami Vega contacted me about Ms. Vega's new book, Designer Nails: Create Art at Your Fingertips, I was thrilled. Ami, the creator of El Salonisto, a nail art business and blog (elsalonsito.com), has compiled a beautifully photographed, easy-to-follow book on creating nail art for everyone--from beginners, like me, to experts. The folks promoting the book (Perigee Trade), which was released August 4th, would like to give two lucky Flattering50 readers a copy of this gorgeous book. Ami Vega has worked with major beauty companies, such as Revlon, Essie, and Maybelline, and has a monthly column in the British magazine Scratch. She has contributed her nail designs to fashion shoots as well as worked with designers like Donna Karan and Monika Chiang. "Nails are like tiny canvases to me," Ms. Vega writes in her new book's introduction. She hopes her book will inspire and encourage readers' "inner artist." The book's designs are an "open platform for your own self-expression." 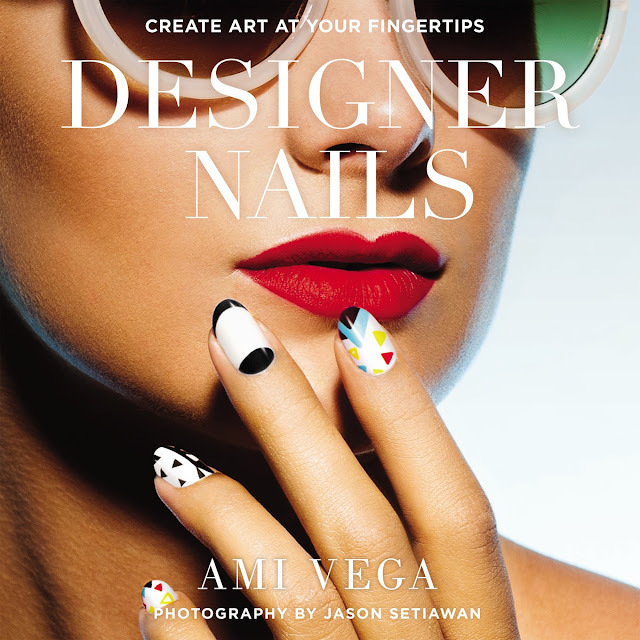 Two lucky Flattering50 readers will receive a copy of Designer Nails: Create Art at Your Fingertips by Ami Vega. 1. You must live in the United States or Canada. All entries must be received no later than Wednesday, August 19th, 2015 11:59 PM EST.